This is the second thread I've started for Mercedes Me Connect. For 2019, Mercedes opened a new App for the 2019 cars. Some of us had significant issues getting activated to Mercedes servers (myself included). We'll leave that thread open for new people who purchase a 2019 and can't get connected. This thread will be a general user questions and tips thread. Topics like how to do you get a message that you forgot to lock your car to appear, or how do you send an address to your car, would be the types of questions that would serve this thread best. For the record, I think that iPhones probably have superior functionality vis a vis the app compared to Android devices (like my Samsung Galaxy S9+). But I can remote start, send destination to device, see if doors are locked (and lock them). I just haven't received any notifications. That did get me thinking: I just enabled the location permission for the app. Let me see what happens. Thanks rbrylaw (is it Roy?) for starting the thread. Close, it's Rod. I would imagine Location Services would be required if you want to find your car when you parked it and need the app to tell you where it is. I also suggest, though I don't know if Android has the same feature (though I suspect it does) going into Settings > Notifications and ensure you've enabled notifications for the Mercede Me Connect App. On my iPhone I can turn them on or off specifically for the app. I would hazard a guess your Android offers the same? What was so cool this morning, was having my Apple Watch tap my wrist to alert me to the fact I left my car unlocked with a notice to open the app on my phone to lock it. Last edited by rbrylaw; 11-15-2018 at 03:44 PM. If you have a 2019, you can use Mercedes Me Connect. If you don't, it's of no use to you. The other two would be of use. To get notifications it must be authorized and then go to settings in the app and turn on notifications. It really is good to have. It alerts you whenever changes are made such as locking or unlocking the car or when remote start is activate or deactivated. One feature i wish wish they would add... on the last trip page, I wish they would show the date and time the trip started and stopped. Honestly I wish it would keep an entire log, along with GPS coordinates every time the engine stopped. We just got back from the Tampa, International Auto Show. It's always fun to play in just about every car you can buy in one place. What made me most happy, was that after sitting in all the BMW's, Audi's, Lexus, Lincoln, Cadillac, Jaguar, Maserati, Alpha Romeo, Land Rover cars you can get, nothing made me even remotely wishful I had gotten anything other than the car I have! They didn't have any Genesis there, which I thought was odd. And I have to admit that the Kia K900 was remarkably nice inside the cabin. Nicer than anything Acura offers or Lexus for that matter. Oh and Lincoln has really upped their game. I had to admit all the Lincoln's looked good inside and out. In contrast the Cadillac's looked old and tired. 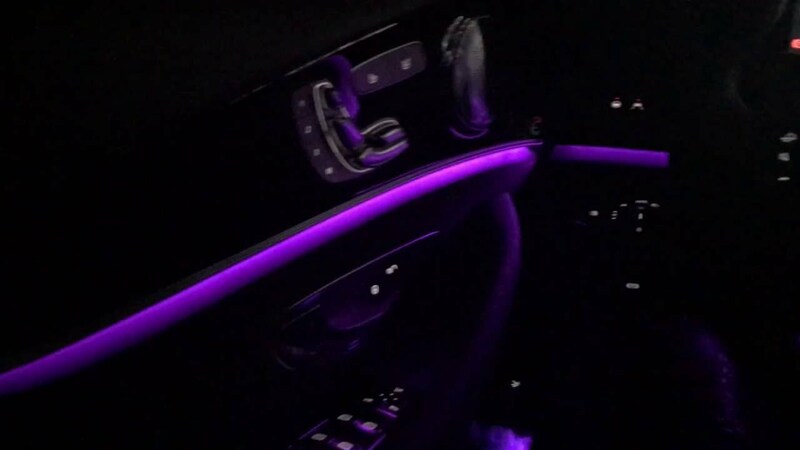 I love our Ambient lights in our cars. 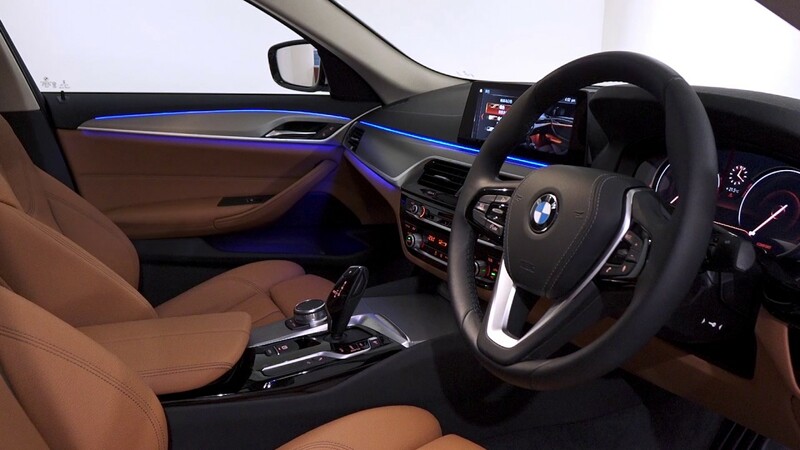 But I have to admit that the BMW Ambient lights is very crisp in the implementation. It's implemented very differently from our system. Ours provides more glow, while BMW's is more specific, if that makes sense. It's rendered via a very thin and uniform plastic strip. It's hard to describe, but I did find it very nice. Last edited by rbrylaw; 11-17-2018 at 05:05 PM. Was that the English version of the BMW you sat in? I guess it was truly an International show. We drove home from my wife's class reunion from Canton Ohio tonight, and I must say the ambient light system is absolutely spectacular! To see that glow coming out of the vents like after burners, really completes the look! The other thing I was really impressed with was the intelligent light system. It seamlessly went between brights and lows with the auto light system, and the cornering lights work so well. It's not that abrupt high to low function you see on every other car; this system is more precise; well worth the money. Couple that with the Distronic, and the Burmeister system, makes the car such a pleasure to drive! No, we didn't see a right hand driver at the show, but I was trying to describe the difference and I didn't take a pic at the show, so I just borrowed a picture off the internet. It just better illustrated what I was trying to say. I love the glow in our cars and think it is beautiful. It's just different than how BMW does it. Speaking of the intelligent lighting system. Last night I noticed something interesting. When approaching intersections with street signs, the lights highlight the street signs for a couple seconds, then lower. I'm guessing this is because my E450 has the 360 camera system. I'm pretty sure our E400 without 360 camera does this. I get what you are saying about the crisp/neat BMW ambient lighting. That said I prefer the glow myself as it accentuates the color, and curvy lines of the E interior. A bit is subjective of course. I don't mean to say the BMW system is better. I love the glow our Ambient Lighting Systems deliver. I just found the crispness of the BMW system cool in how uniformly crisp it was. Oh...I assumed that was a picture you took at the show; my bad. Anyhow, I did notice the same effect with street signs that you did. I also noticed, that if cars passed us, the lights would lower slightly so as not to shine directly into their rear windows. All in all, I'm really impressed with this intelligent light system. Now, a question since I'm new to this car. On my Cab, I can swipe my foot to open the trunk on the hands free access. However, swiping a second time to close it doesn't work....contrary to what it says in the manual. The salesman and I noticed it didn't work either on the the 2018 Cab that I test drove either. Both cars had the premium packages, so that isn't it. Maybe because they are convertibles? Does this work or not work on your E450's? p.s. the button in the trunk operates the divider in the trunk and nothing else. Last edited by rustybear3; 11-18-2018 at 12:39 PM. TBH, I've never tried to close the trunk with a kick motion. I rarely use the kick motion to open the trunk. Most of the time, I just stand behind the bumper looking silly moving my foot under the bumper over and over. I'll try it when I take the car out later and let you know if it works on my car. So I did the kick ballet and low and behold, open and close both worked flawlessly. Playing around with it, you have to learn to stand behind the bumper just a couple inches, have the key on your person and use a smooth constant motion directly toward the underside of the middle of the rear bumper. The same motion to close and you hear a beep to indicate it's going to close. HaHa. I learned about the kick to close function the hard way. I sit on my trunk lip to put on and take off my golf shoes. One time one of my feet went under the bumper and the trunk lid came down on my head. Only took one time to know about closing the trunk. Sorry, but just have to do this........."The School of Hard Knocks??!!" Yes, that is the name of my alma mater. After a little digging around, regardless what it says in the manual apparently the Cabriolet version of the E450 only allows for the opening of the trunk with the kick function or any of the other standard ways: Key fob or Mercedes star on trunk.....but not the close function. This is pointed out by the DOG guide when ordering a Cabriolet. That's why the upper button in the trunk only operates the divider for the convertible boot and nothing else. My guess, is that perhaps the closing trunk motor mechanism might interfere with the closing mechanism of the convertible top. ​​​​​​​Not a deal breaker, but a little disappointing none the less. Still, not much of a sacrifice for such a beautiful convertible! Last edited by rustybear3; 11-19-2018 at 12:59 AM. You have to self close the trunk on the cabriolet, the car does not have the self closing motorized trunk function. The trunk lid is very light so relatively easy to close, not sure why they left this feature off the Cabriolets.